mk · 1991 days ago · link · · parent · post: TinCan is available for download! One of the phones I have been testing with is a GN 4.2.2. 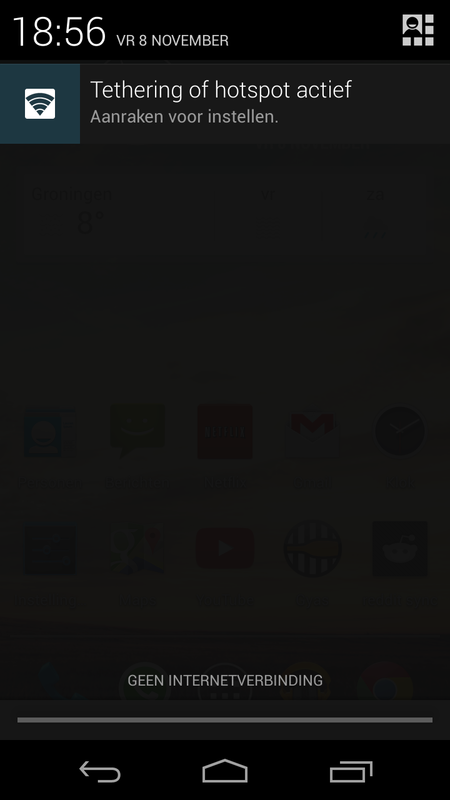 I get that notification, but only for a couple of seconds. Can you still navigate around the app and create a message? Btw it will chew up your battery pretty good if you leave it on for a while. Maybe I was wrong in assuming this would be something you'd just run in the background, I thought that was part of it. Not currently, as the battery drain will be pretty harsh. Perhaps in an update we could make an background option that looked infrequently. EDIT: Now I see what you mean. Yes, that will persist. Perhaps something where it activates for a few seconds to gain fresh messages?